Philip Bennett is FRONTLINE’s managing editor. He is former managing editor and foreign editor of The Washington Post and a professor of journalism and public policy at Duke University. 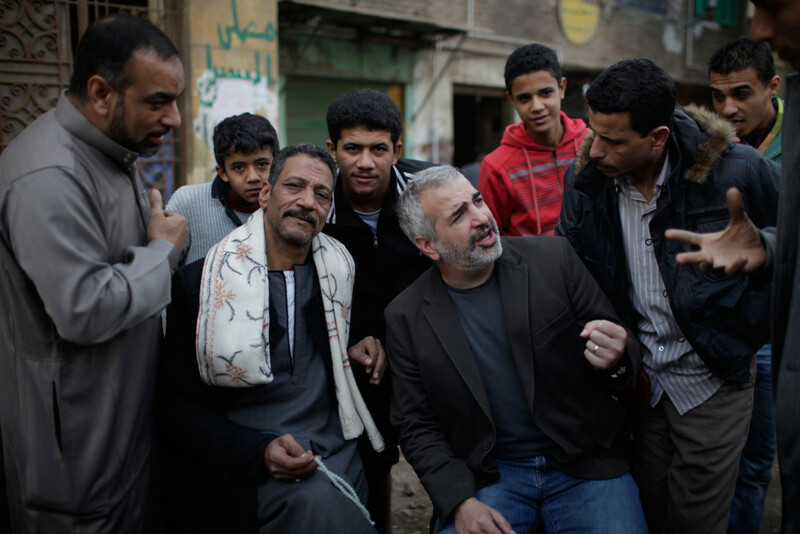 Over his career, Anthony Shadid worked hard not to become the story. It was one of the few goals that eluded him. He had a natural, reticent humility, but also a talent for making headlines. He was shot in Ramallah, bombed in Baghdad, kidnapped in Libya. Then there were the two Pulitzer prizes, books and more accolades, the emulation of colleagues who considered him the premier foreign correspondent of his generation. Anthony’s death yesterday at 43, apparently from an asthma attack, while working in Syria for The New York Times, silences one of most influential voices in American journalism. As some of his closest colleagues have described in tributes, his impact came not just from what he wrote – “poetry on deadline,” one said — but how he reported. He simply spent more time listening, learning, watching and struggling to understand. I was Anthony’s editor for a time at The Washington Post, and the experience changed the way I saw journalism and understood the world. As one of the few reporters to stay in Baghdad during the launch of the U.S. invasion in 2003, his work grew quieter as the war grew louder, and what he heard and described were the voices of Iraqis whose confusion, anger and search for identity foreshadowed much of the disaster that followed. In Iraq, Anthony explored the awakening of a sectarian conflict, a defining aspect of the years to come, before many American officials had even registered its existence. He could capture the ways people make history, even when they seem helpless. His reporting was filled with forces invisible to the eye — the past, faith, collective identity — that could frustrate armies and dispatch dictators. As his colleague and friend Rajiv Chandrasekaran wrote yesterday, many people assumed Anthony’s fluency in Arabic and the language of Islam, which provided depth to his reporting, were gifts of his Lebanese ancestry. But he was a native son of Oklahoma (and a Green Bay Packers fanatic) and a Christian who learned Arabic after college. His incessant work and travel seemed a journey towards some place where his understanding of the region and himself would intersect. The Arab Spring confirmed nearly everything Anthony had written over the previous decade, including his sense that change comes in a welt of messy contradictions, triumph and tragedy walking hand in hand. His dispatches for the Times stood apart for their sense of history’s long arc. When I called him in the fall to ask if he’d work with us on a FRONTLINE report on Syria, he jumped at the chance. Syria, he said, was the key to the region’s next chapter. My wife and I last saw Anthony last month over a long lunch in Somerville with his wife, the New York Times correspondent Nada Bakri, their young son Malik and his daughter Laila. He was eager to return home in Beirut, then go back to Libya, then on to Syria. As always, he was animated by questions about what was next, and what it would mean. In a sense, this year Anthony was coming full circle. He had finished a memoir, House of Stone, about restoring his family home in Marjayoun in southern Lebanon. Like everything else in his life, he had embraced the project with an obsessive attention to detail, down to the most intricate question of carpentry, masonry and tiling. And he had ended the project caring less about the house, perhaps, which he didn’t even own, than the process of rebuilding it and the local residents who worked alongside him.